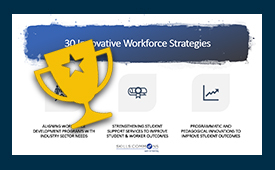 The SkillsCommons Field Guide of Workforce Innovations: Gallery Edition is a collection of innovative and successful workforce development strategies developed by community colleges across the U.S. with funding from the U.S. Department of Labor’s Trade Adjustment Assistance Community College and Career Training (TAACCCT) program. The TAACCCT program was designed to build the capacity of the nation’s community colleges to significantly improve the success and scale of job-driven, certificate, credential, and degree programs in a full range of workforce development areas. The SkillsCommons Field Guide Gallery provides brief descriptions of the innovations, videos, and podcasts of project directors explaining their innovative programs, and the free and open educational resources (OER) developed by their programs that you can adopt and adapt for your own use. 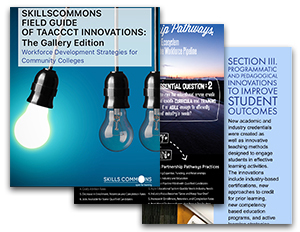 These innovative resources are available in the SkillsCommons library along with all the OER produced by the grantees of the $1.9B TAACCCT program, and leverage the work developed by community colleges and their partners. 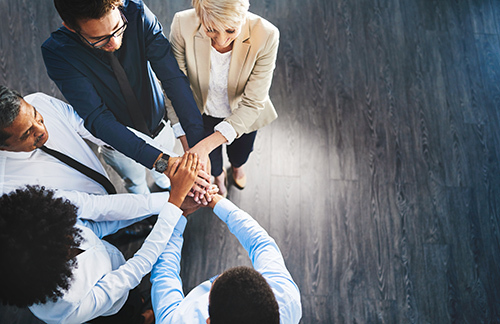 Our goal is to provide leaders and practitioners of workforce development programs with brief descriptions and easy-to-use materials that can be adopted and adapted for local purposes and programs. OLC Innovate 2019 Emerging Ideas Award Winner! California State University, Office of the Chancellor and its MERLOT program designed and implemented the national, open library of workforce programming and training materials called SkillsCommons. The SkillsCommons library is open for educators, workforce development staff, human resources staff, and individual workers and provides free and easy access to the innovative training materials across a wide variety of industry sectors that can be adopted and adapted for the local use. Download the Field Guide Gallery Edition from Google Drive. From the Adobe Digital Editions File menu, choose “Add to Library” and point to the downloaded book. From the File menu, choose “Read” to view the book. Strategic alignment between community colleges, the public workforce system, and business and industry was an integral component to the TAACCCT initiative. Many states and regions created meaningful strides to better align these organizations. Student support services were crucial to helping students enroll, persist, and complete. 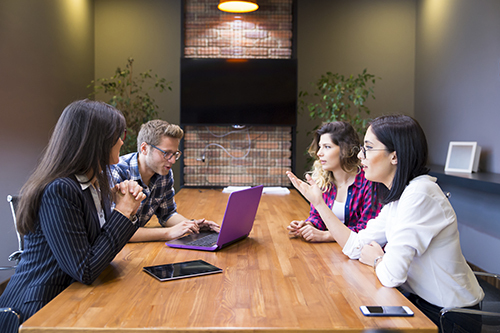 A number of TAACCCT grantees implemented new procedures and policies delivered by new support staff, often known as navigators, success coaches, or career coaches. New academic and industry credentials were created as well as innovative teaching methods designed to engage students in effective learning activities. The administrators of the U.S. Department of Labor’s TAACCCT program, Robin Fernkas and Cheryl Martin, provide the essential background on the TAACCCT program and the significant value produced by the $1.9B investment in workforce development capacity building and innovation. They summarize the purpose and highlight some of the significant achievements of the TAACCCT program, and of SkillsCommons.